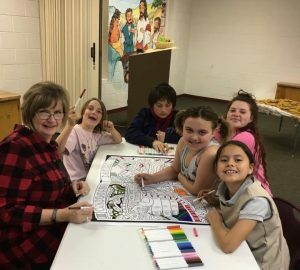 Kids’ Club meets Wednesdays from 5:30 – 7:00 p.m. during the school year, Kids’ Club is for all children in grades Kindergarten through 6th – children do not have to be a member of Grace to participate. We welcome grandchildren, neighbors, and friends. This is a fun time for them to learn Bible stories about Jesus, eat supper together, play games and do special creative activities. Please reach out and invite the children around you to come. Suggested donation: $15 per child for the whole season – $30 family maximum.